The retailer rolled out everything from sensor-laden appliances to tool chests with Bluetooth smart locks at an event in New York. Sears continues to shed its image as a staid, old-school retailer, introducing yet another line of new products for the smart home at an event in New York City on Wednesday. 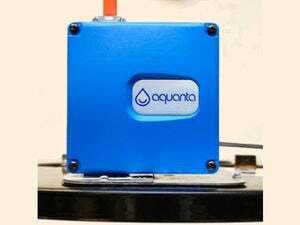 Among the 12 new products: A sensor-laden refrigerator that tracks how many times its doors have opened, a clothes washer that can be started from afar using a smart phone, a garage-door opener that sends alerts when you forget to close it, and a series of tool chests with Bluetooth locks. 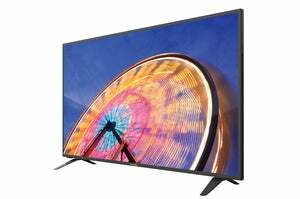 The company also extended its Kenmore brand to televisions for the first time ever; surprisingly, however, its first generation of Kenmore HD and 4K/UHD sets won’t be connected smart TVs. Sears is expanding its Kenmore line into the living room. Interestingly enough, the first generation of its Kenmore Elite TV series won’t connect to the internet. 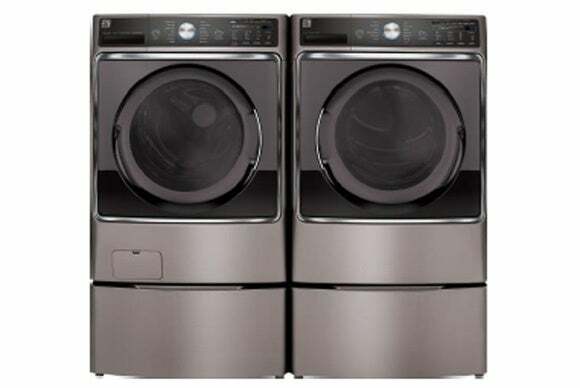 What’s more, the connected appliances will send alerts to Sears’ service department if the appliance malfunctions. The service department will then contact the customer and let them know that the appliance needs servicing. Park said that while its private-label products are manufactured by OEMs, not Sears, each one is designed and engineered by Sears’ employees—they’re not just cookie-cutter clones. 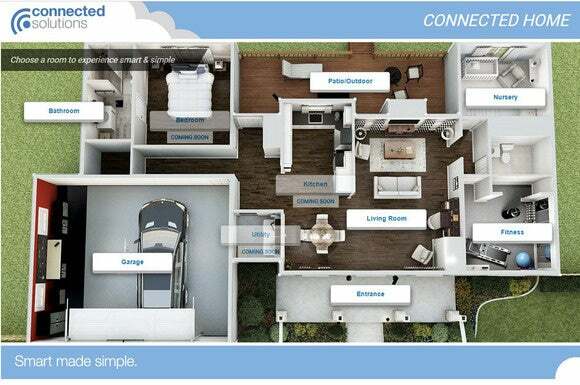 Sears operates physical and virtual showrooms to help customers find connected products to make their homes smarter. Why this matters: While the smart-home market’s overall growth remains stunted by battles over standards and protocols, long-settled infrastructure such as Wi-Fi and Bluetooth has enabled many classes of home products to at least connect to the cloud and to our smartphones. And when companies as familiar to consumers as Sears jump on the connected bandwagon, it can only increase the technology’s mainstream appeal. 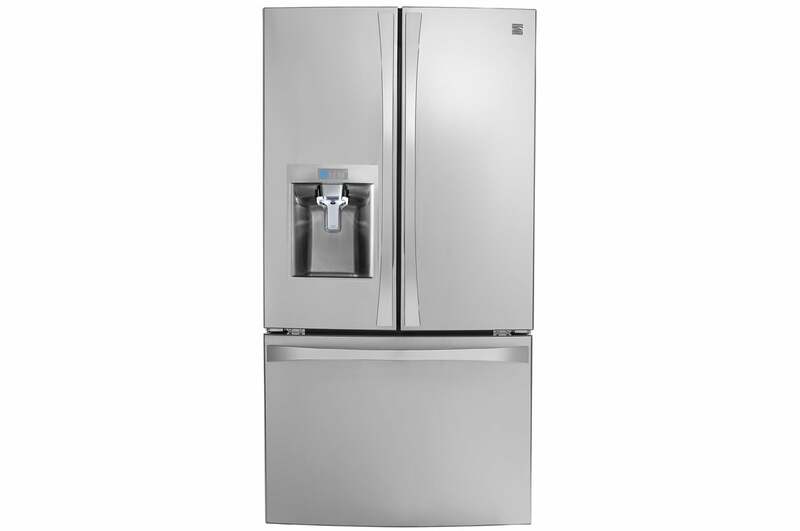 Kenmore Elite Smart Refrigerator Sensors monitor and report how many times this French-door refrigerator’s doors are opened and send an alert to a smartphone app if either of the doors are left open. You’ll also get alerts in the event of a power outage—so you can take action to prevent food from spoiling—and for maintenance needs, such as replacing the water filter. The refrigerator is due to be in stores in the fourth quarter of 2016. Sears’ Kenmore Elite connected refrigerator won’t have all the bells and whistles of something like Samsung’s Family Hub, but it probably won’t cost $5,000 either. Kenmore Elite Smart Washer and Dryer In addition to receiving maintenance alerts via Sears’ Kenmore Smart app, you’ll be able to remote-start the washer from anywhere you have internet access. Why would such a feature be valuable? You could load dirty clothes into the washer in the morning before you leave for work, and start the wash cycle before you leave for home. The clothes will be ready for the dryer when you arrive, without sitting damp in the washer all day long. You’ll also be able to download new wash and dry cycles for specialty fabrics and specific stains. The washer and dryer will be available in the first quarter of 2017. Craftsman Wi-Fi Smart Control Garage Door Opener You don’t need to buy a whole new garage-door opener to get connectivity features, as there are a number of products that you can add to existing openers. 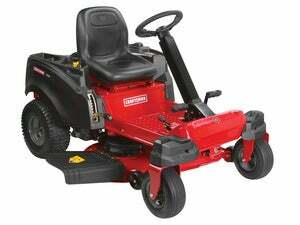 But this new model from Sears promises to deliver some great features when it becomes available in October. It can connect directly to your Wi-Fi router, so you don’t need a gateway as with earlier smart Craftsman models, and the app can manage up to three openers even if they’re at different locations (your home, a vacation home, and grandma’s place, for instance). You can see with a glance at the app if the door is opened or closed, and you can open or close it from anywhere you have internet access. The door can also be programmed to automatically close after opening (after one, five, or 10 minutes or a custom time up to 90 minutes). An integrated motion sensor will automatically turn on the built-in lighting, and a there’s battery backup that can operate the opener in the event of a power failure. A wireless remote keypad is also included (in my personal experience, these are super handy when you’re not in your car but need to get into the garage). The opener will be available October 2016. Can’t be around to monitor the charging of your boat or RV? 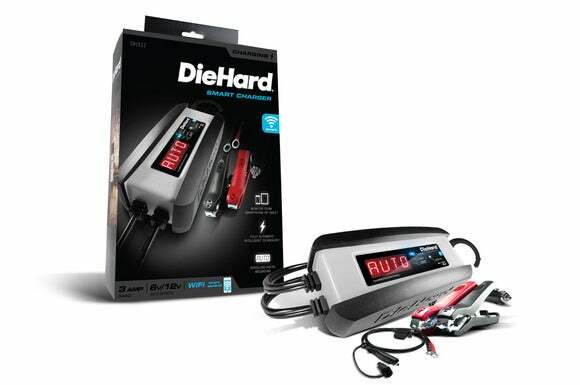 You won’t need to be with the DieHard smart battery charger. Craftsman Pro Series Connected Tool Storage Sears announced a wide range of connected tool chests and rolling cabinets today, ranging from a 26-inch-wide, 9-drawer model to a gargantuan 52-inch-wide, 2-drawer unit. These will feature Bluetooth smart locks so that they can be locked and unlocked with a smartphone instead of a physical key. Owners will also be able to provide friends, family, and coworkers with remote access to the tools stored inside. Each of the chest and cabinet models will come with integrated power outlets and two USB ports for charging tools and smartphones. This product line will be available in October 2016. DieHard Smart Charger and Maintainer If you ever deal with cars, boats, riding mowers, or motorized recreational vehicles that spend a good part of the year in storage, you’ll be interested in Sear’s new smart battery charger. You can leave it connected to the vehicle’s battery and it will monitor its status. When the battery runs low, you can begin a charging session with your smartphone. The charger will also send an alert to your smartphone if connectivity issues develop during the charging cycle. The DieHard Smart Charger will be available in October 2016.